A range of pre-configured digital signage players for use with the Planet eStream Digital Signage module . 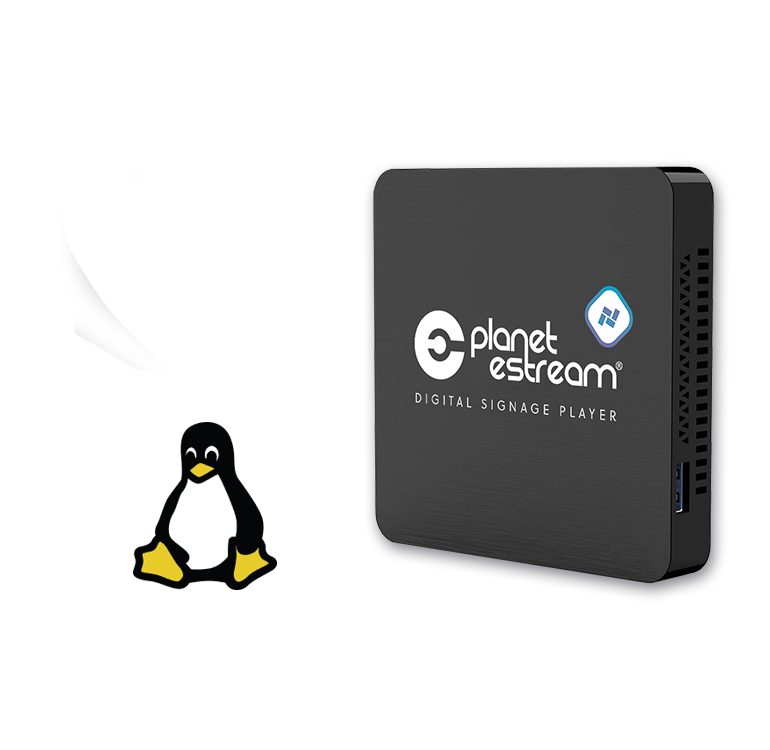 The Planet eStream Digital Signage Player with standard Linux specification is based around the Intel Compute Stick and a Quad Core Atom processor. They are extremely discreet and measure just under 4.5 inches in length, enabling you to easily turn any display with an HDMI input into a digital signage screen. Each player comes preconfigured with Linux and the Planet eStream Digital Signage Client. A USB to ethernet adapter and twelve-month advanced replacement warranty are also included as standard. The Planet eStream Digital Signage Player with standard Windows specification is based around the Intel Compute Stick and a Quad Core Atom processor. They are extremely discreet and measure just under 4.5 inches in length, enabling you to easily turn any display with an HDMI input into a digital signage screen. Each player comes preconfigured with Windows 10 and the Planet eStream Digital Signage Client. A USB to ethernet adapter and twelve-month advanced replacement warranty are also included as standard. 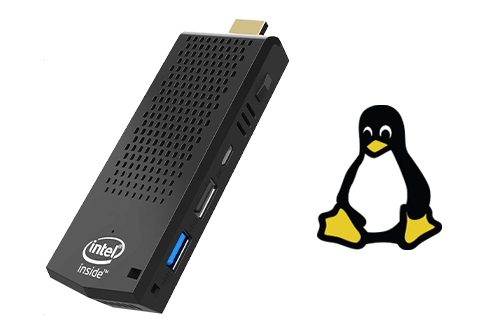 The Planet eStream Digital Signage Player with advanced Linux specification is based around the Intel Compute Stick and an Intel Core m3 Atom processor. They are extremely discreet and measure just under 4.5 inches in length, enabling you to easily turn any display with an HDMI input into a digital signage screen. The Intel Core m3 processors are much more powerful than the Quad Core Atom processors found in our standard specification digital signage players, making them an ideal solution for those looking to deliver signage designs that include multiple content panels and advanced/multiple animations. 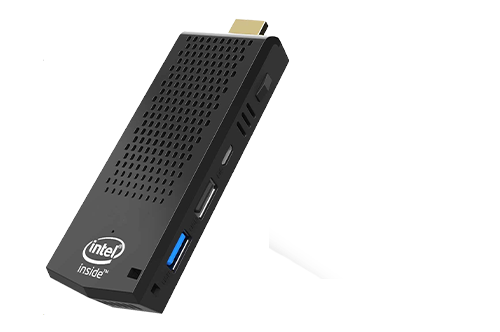 The Planet eStream Digital Signage Player with advanced Windows specification is based around the Intel Compute Stick and an Intel Core m3 Atom processor. They are extremely discreet and measure just under 4.5 inches in length, enabling you to easily turn any display with an HDMI input into a digital signage screen. Each player comes preconfigured with Windows and the Planet eStream Digital Signage Client. A USB to ethernet adapter and twelve-month advanced replacement warranty are also included as standard. Please be aware that all orders are subject to a £15 ex. VAT carriage charge. If your purchase order does not list a carriage charge of £15 ex. VAT then it may slow down the processing of your order as we will have to contact you for authorisation for the total costs, including delivery charges, before despatching goods. This Planet eStream accessories page replaces our previous web store; www.planetdv.net. The products shown on this page are for the benefit of Planet eStream customers only and you will require an up to date Planet eStream licence for purchases to be accepted.